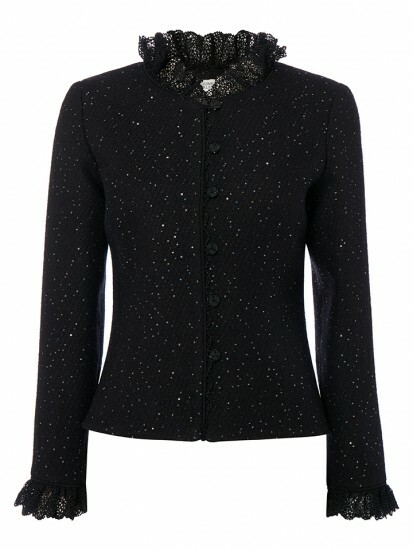 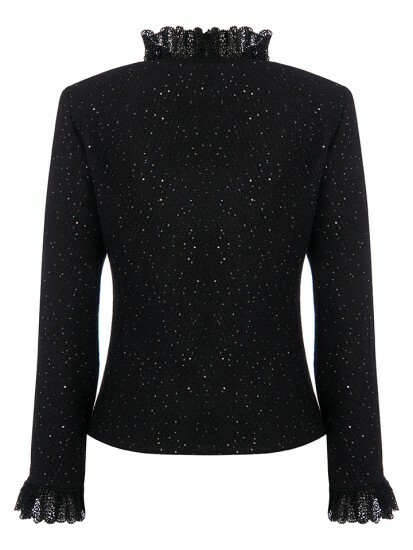 Fitted french tweed jacket with subtly woven-in sparkle embellishment.. 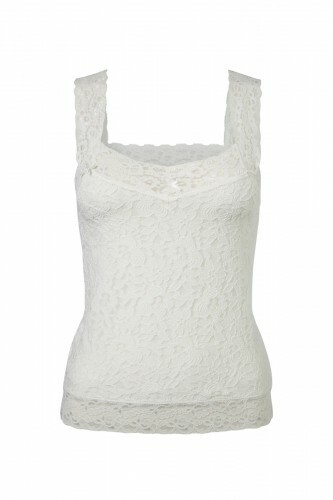 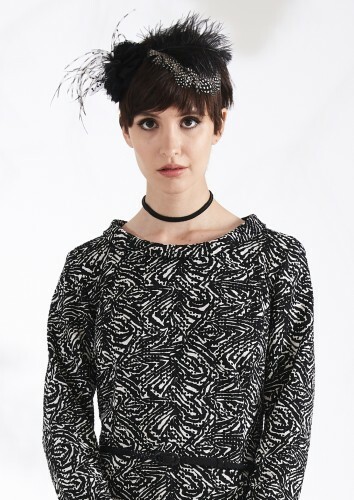 Double guipure lace frill to the collar and cuffs. 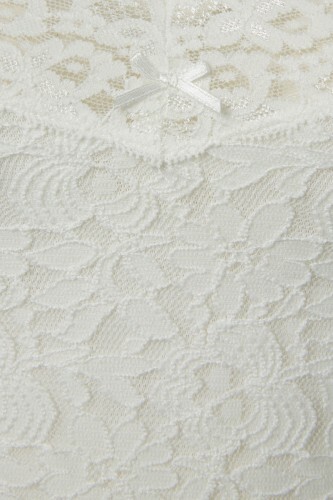 Corded piped edging and button and loop fastening. 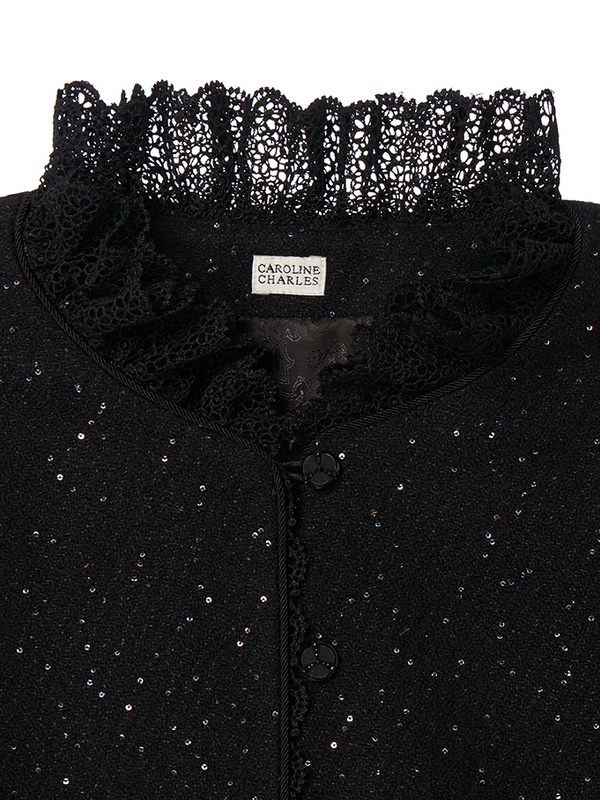 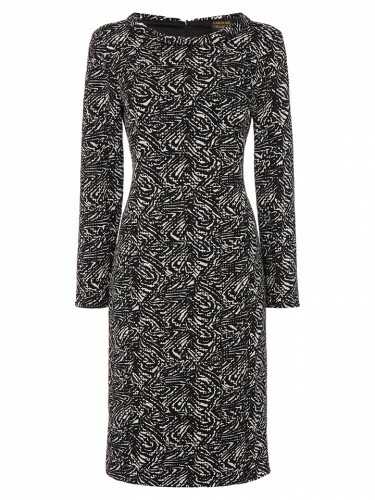 Wool Jacquard with a twinkle and trimmed in lace. 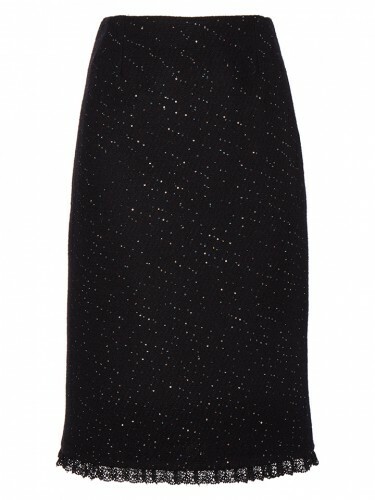 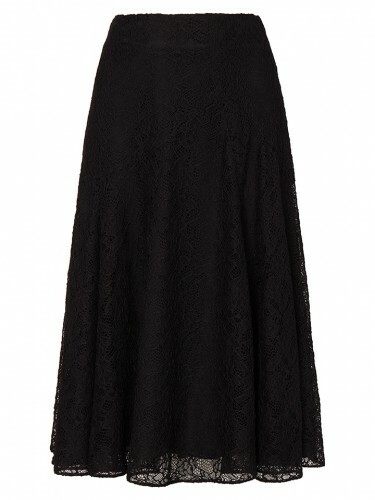 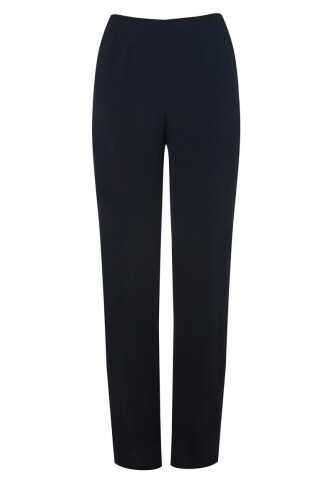 Ideal Cocktail Suit worn with matching Mandalay pencil skirt and Lace Cami or wear with Black separates for a flexible evening piece.